When you envision your perfect dream home, make sure to carve out a little dreaming for the kids too! Whether you’re looking to start from the ground up or you just need a make-over, here are some great ideas that will make the kids happy! Some of these are also an opportunity for family bonding. Give the kids permission to paint on the walls and you’re definitely going to get kudos from the kiddos. Use wainscoting in a room and paint the wall below with chalkboard paint. The kids can pick whatever colors they like and have a blast! Additionally, removable wall transfers are a great and affordable way to let the kids decorate their own room, knowing that as soon as they’re bored with it, it can easily be changed. These “wall tattoos” come in a variety of styles and patterns. What kid doesn’t want his/her own playroom? Turn that extra bedroom into a mini theatre where your kid(s) can create, imagine and perform. All you need is a mini stage with a curtain, a mic and a few chairs for family and friends to watch… because the show must go on! Other fun DIY projects include painting a mailbox, creating a mini fairy garden in the backyard and making a teepee. 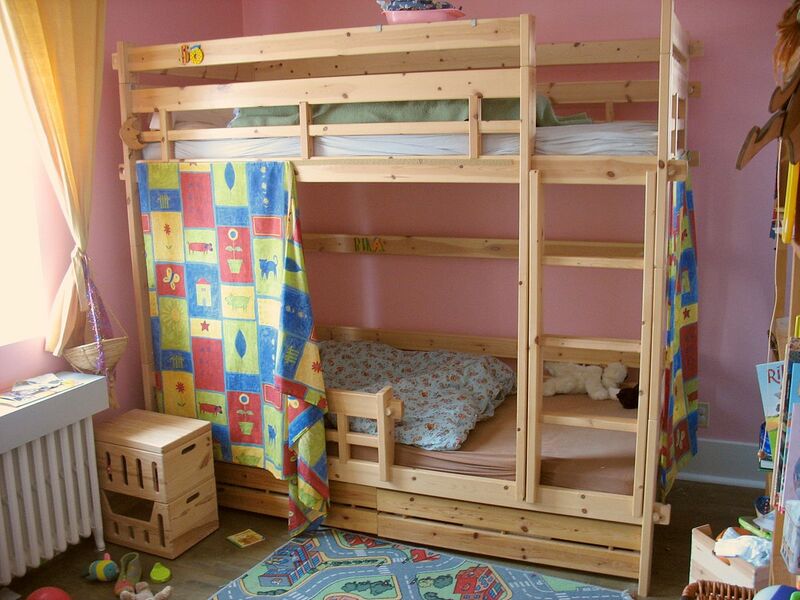 If you want a serious project, build some bunk beds, which are perfect for sleepovers and space savers. Who wants a regular bed these days anyway? We bet you can come up with even more fun ideas to help make your house a home for the whole family! If you’re ready for a new home, please call us at 210-494-5400 to set up a consultation or fill out our online form.